« Journaling. Is it a thing of the past? Ben has been looking for a new chair since his birthday. We have been going online and looked in stores and still . . nothing. Ben is very particular about what kind of chair he wanted. He had to try out each chair individually and nothing seemed to work. 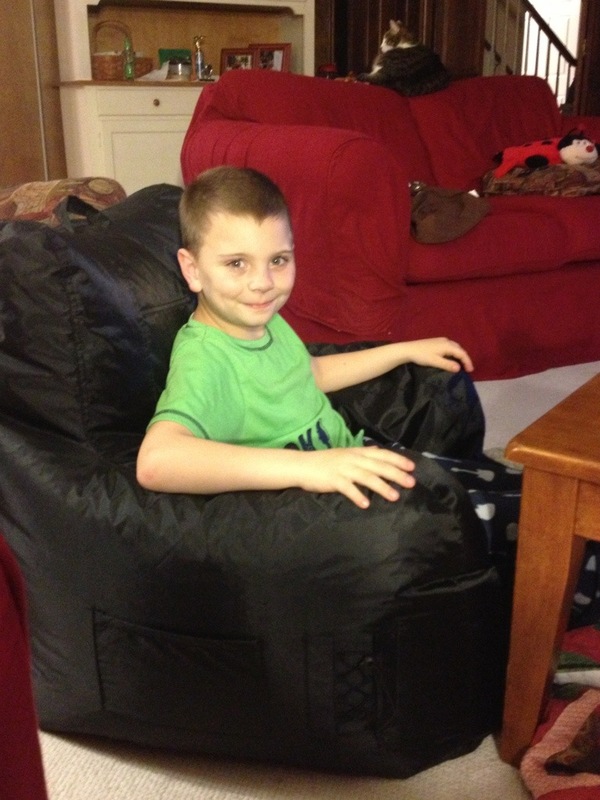 Last month we finally found a chair that Ben liked. And that he could afford! He is so proud of this chair. He drags it everywhere to sit in. It is his chilling out chair! !